IPS provided Industrial Panel Solutions for a large client working in the plain states and upper mid-west dominating the oil and gas industry. Our team’s responsibilities included revising and consulting panel design, component specification and sourcing, and the fabrication of the panels. In total, IPS was responsible for fabrication of 52 control panels consisting of over 1,500 individual parts and components, of which IPS sourced components are covered by our industry leading 3-year warranty. These separator tanks use gravity to separate oil, gas, and other materials such as water, which is then distributed along different channels.As the slurry of materials enter the separator tank, the gaseous components separate from the liquid components. The gaseous components are extracted and filtered while the liquid components are left to sperate in a basin. As the liquids separate, oil rises above the water and flows over a barrier into an oil reservoir. Water is released by a valve in the first phase of the separator tank. This dump valve controls the level of the emulsion and ensures that only oil flows over, and only water flows out of the valve. 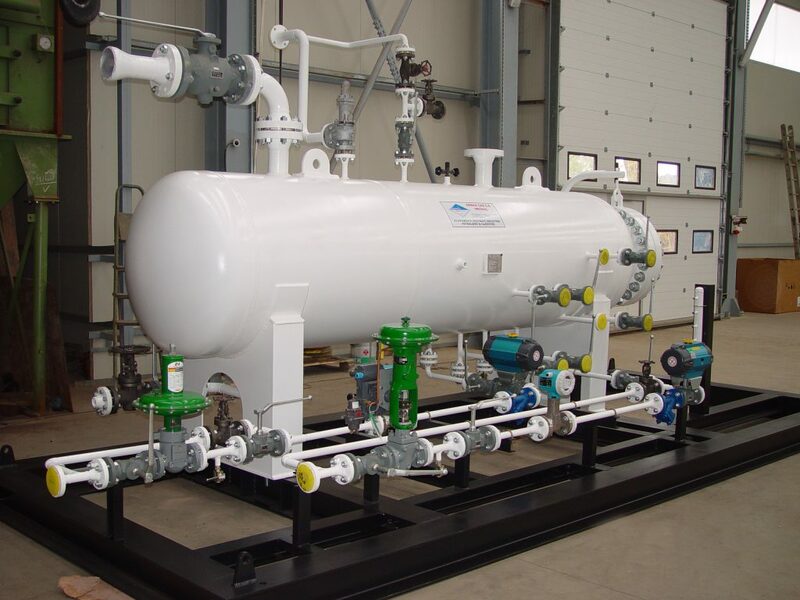 Temperature and pressure within the tank are critical for the gaseous components to ensure that they are a saturated gas, moving the most amount of natural gas as possible. Our panels ensure the success of this operation. Our panels are built and designed to operate reliably in the harsh outdoor environments of the great plains and upper Midwest, supplying critical infrastructure components that reach millions of Canadians and Americans.